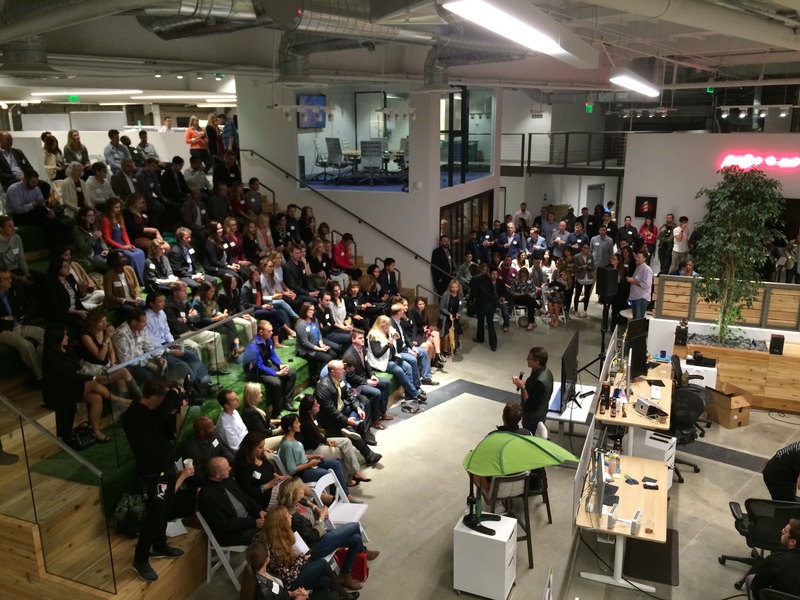 Addressing the crowd at Dollar Shave before interviewing CEO Michael Dubin during NewCo LA last November. Thanks to NewCo, I’ve gotten out of the Bay Area bubble and visited more than a dozen major cities across several continents in the past year. I’ve met with founders inside hundreds of mission-driven companies, in cities as diverse as Istanbul, Boulder, Cincinnati, and Mexico City. I’ve learned about the change these companies are making in the world, and I’ve compared notes with the leaders of large, established companies, many of which are the targets of that change. 1. Technology has moved from a vertical industry to a horizontal layer across our society. Technology used to be a specialized field. Technology companies sold their wares to large companies in large, complicated IT packages and to consumers as discrete products (computers and software applications). In the past decade, technology has dissolved into the fabric of our society. We all can access powerful technology stacks. We don’t need to know how to program. We don’t need a big IT department either. Now, technology is infrastructure, like our physical systems of highways and roads. This levels the playing field so new kinds of companies can emerge, and it’s forcing big companies to respond to a new breed of competitor, as well as a newly empowered (and informed) consumer base. 4. A job is table stakes. To win talent, companies must compete on purpose, authenticity, and organizational structure. Millennials are now the largest force in the global economy, and they have a markedly different view of work: Purpose and “making a difference in the world” are central in their work-related decisions. They’d rather work at The Honest Company than Unilever, if given a choice — and the best and brightest always have a choice. Members of the next generation want to be at a company where work means more than a paycheck. They believe work can be a calling (Reich) or an expression of our creativity (Florida). BigCos aren’t currently organized to enable their workforces in this way (human resources, anyone? ), but NewCos — even the very largest ones like Google — most definitely are. 7. Cities are resurgent. I just returned from Mexico City, which earlier this month hosted its first NewCo festival. While there, I heard a refrain consistent with my visits around the world: The city is changing for the better and new kinds of companies are at the heart of that change. When people gather at NewCo meetups or inside NewCo sessions, I keep hearing “There’s just no way these kinds of companies could have made it in this city ten years ago.” Coupled with the horizontal force of technology and the rise of a purpose-driven zeitgeist, cities have become both the epicenter of humanity’s greatest challenges, as well as the birthplace of our greatest innovation. One generation ago, one-third of humanity lived in urban centers. Today, it’s more than 50 percent. One generation from now, more than two-thirds of us will reside in the tangled banks of a city center, and that number will surpass 80 percent by the end of this century. Cities offer access to capital, education, regulatory frameworks, and a collaborative density of human curiosity and connections. It’s where great companies are born and grow. 9. The best NewCos realize there’s a lot to learn from the BigCos. After years of feasting on BigCo markets, “established upstarts” like Google, Facebook, Uber, Zenefits, and Square are transitioning from cultures based on “move fast and break things” and “ask for forgiveness, not permission.” Their leaders are now turning to questions like “How do I build a company that will last for generations? How can I maintain a strong corporate culture when I have thousands of employees? How do I work productively with regulatory and policy frameworks, now that I’m an established player?” Turns out, BigCos have decades, if not centuries, of experience in answering these kinds of questions. In my conversations with leaders of both NewCos and BigCos, I sense a new kind of detente as each side realizes how much it has to learn from the other. In the coming months and years, I expect we’ll see a lot more cooperation between the two. In the coming months, NewCo will be focused on exploring these business trends, with new media and event products. If you’d like to join the conversation, please follow us on Facebook or Twitter, share this post, and/or sign up for our daily newsletter. We believe this the most important story in business, and we’re committed to covering it for you. * A note on climate change: Our society’s response to climate change is one of the most remarkable issues ever to face humankind. More than 70% of Americans now believe that climate change is real, and more than half of the world views the issue as the most serious global threat to humanity. And climate change is to Millennials what mutually-assured destruction was for Boomers: An existential threat. Whether or not you believe in this threat, climate change is now a social and business fact, a force affecting billions of decisions large and small around the world. Consumers are voting with their conscience, forcing unsustainable businesses to adopt provable, net positive products and processes. When Unilever, Walmart, Pepsi and scores of others align with the Pope on sustainability, a movement is most certainly afoot. This post has become One of my favorite reads, thanks for sharing so many insights and discussing some of the dynamic changes taking place globally. Eh, I think you’re generalizing millennials a bit here. I know a fair share of them want to “make a difference in the world” or whatever, but I’m sure there are plenty who are fine with working a job purely for more “traditional” reasons eg. earning a living. Previous Previous post: Should a Company Have a Soul?